Photos (Lexi Van de Walle): Striped bass pieces, sea scallops, shrimp in foil packets; cooked "seafood medley"
When cooking delicate seafood such as striped bass and scallops on a grill, aluminum foil provides a protective shield between the hot flames and the fish. 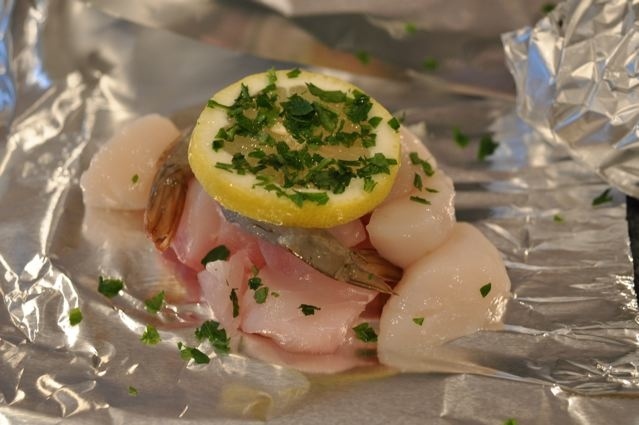 Adding liquid such as stock or wine and herbs, lemon and even tomatoes to the seafood and then sealing the foil helps create a "pouch" and cooking environment that steams the foods and also creates a dramatic presentation that is moist, aromatic and flavorful. Remove bones and cut striped bass crosswise into 12 equal pieces (two for each foil packette). Pat scallops dry with paper towels and remove any tough muscle tissue. Refrigerate seafood until needed. 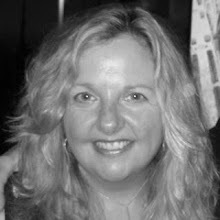 Chop the parsley and slice the lemons just before you are ready to assemble the foil packages. Assembling the Foil: Tear five sheets of foil approximate 12 x 18 inches each and set them out on a large work surface. Place two pieces of striped bass in the center, and top with 4 scallop halves, a slice of lemon and sprinkle with chopped parsley. Pour approximately 1 ½ ounces of wine or stock over the fish folding up edges of the foil slightly to retain the liquid in the foil. Close the foil into pouches making sure to leave space for the steam to circulate. Beginning at the wider part of foil, fold the two sides together over themselves to form a triangular tent shape. Then, twist both of the ends so that the tent-shaped pouch is sealed tight. Cook: Preheat grill to 300-325 degrees. 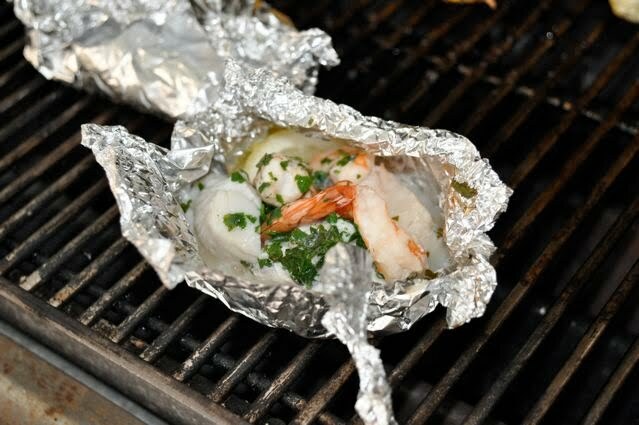 Place foil packages directly on the grill. Since cooking time will vary depending on the heat of the grill, the thickness and amount of ingredients, check every 5 minutes to see when the fish is cooked through being careful not to over cook. Ten to twelve minutes is an approximate cooking time. Serve: Guests can either eat directly out of the foil pouches or serve each portion in shallow soup bowls to preserve the cooking liquid. Soak up liquid with French bread, if desired. ** Substitutes: combine two or more firm seafood or shellfish, including clams, mussels, halibut, swordfish, salmon. Thanks so much for this. Sounds delicious & I love cooking fish in foil.